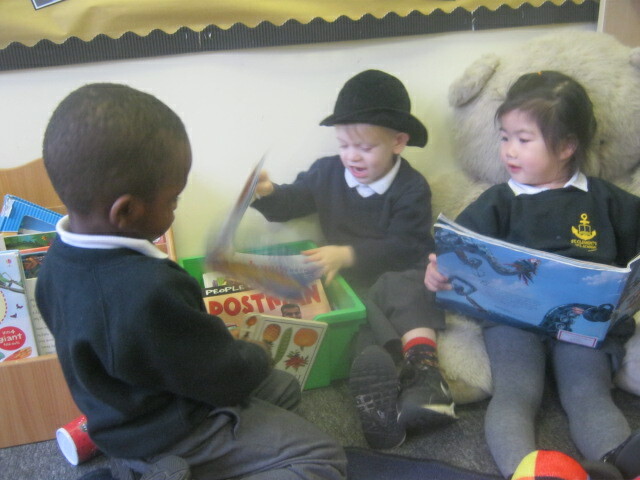 Everyday is different in Nursery. 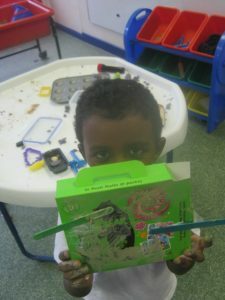 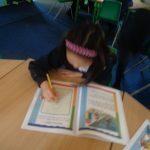 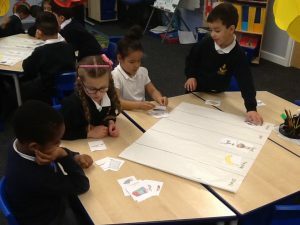 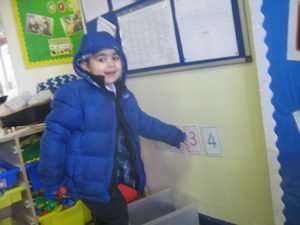 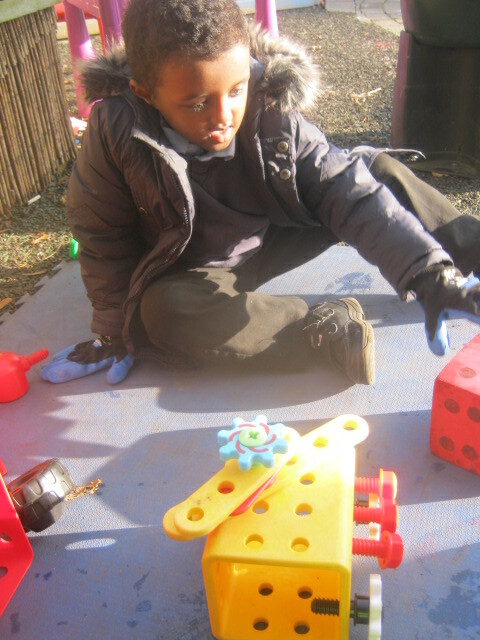 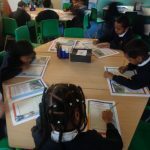 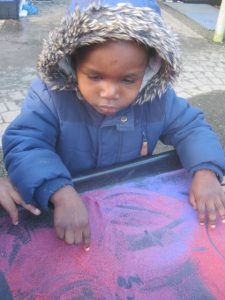 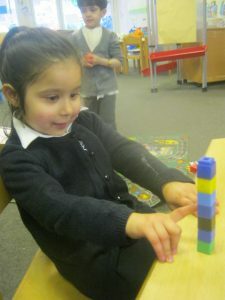 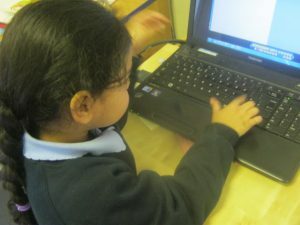 This week, as usual, we have been busy covering all areas of the Early Years Foundation Stage in different ways. 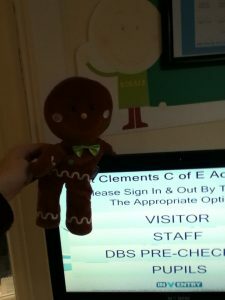 This week in Reception we received a letter from the little old lady asking us to look after the Gingerbread Man whilst she was on holiday. 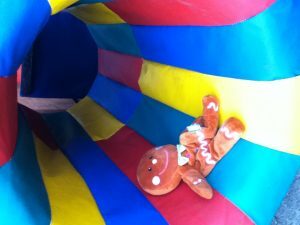 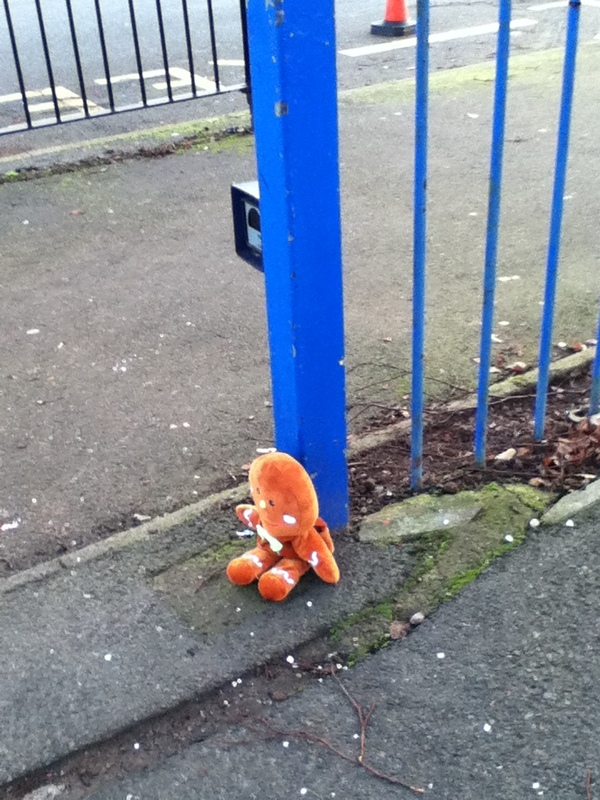 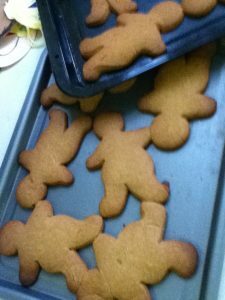 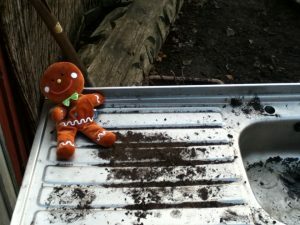 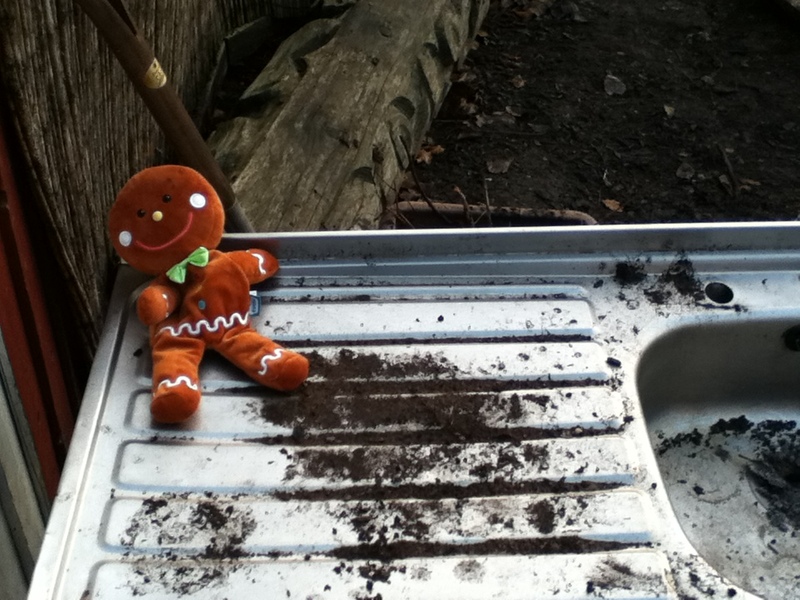 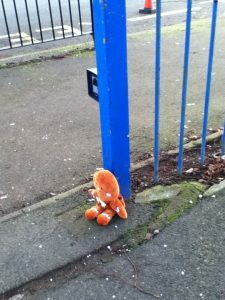 We tried our best but he just keep on running away from us shouting “run, run, as fast as you can, you can’t catch me, I’m the Gingerbread Man!”. 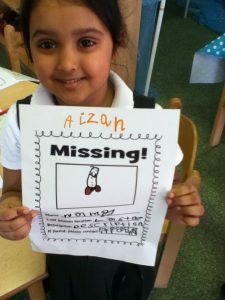 We decided to make missing posters to spread the news that he had ran away. Luckily, we found him on Friday and he brought us some delicious treats to say sorry for running away. 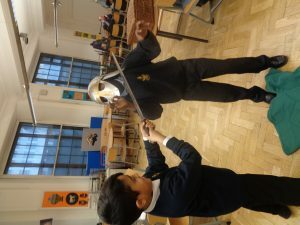 This week Year 2 has gone pirate crazy! We have been writing pirate stories and writing character descriptions to see if we can find the terrible Pirate Pete! 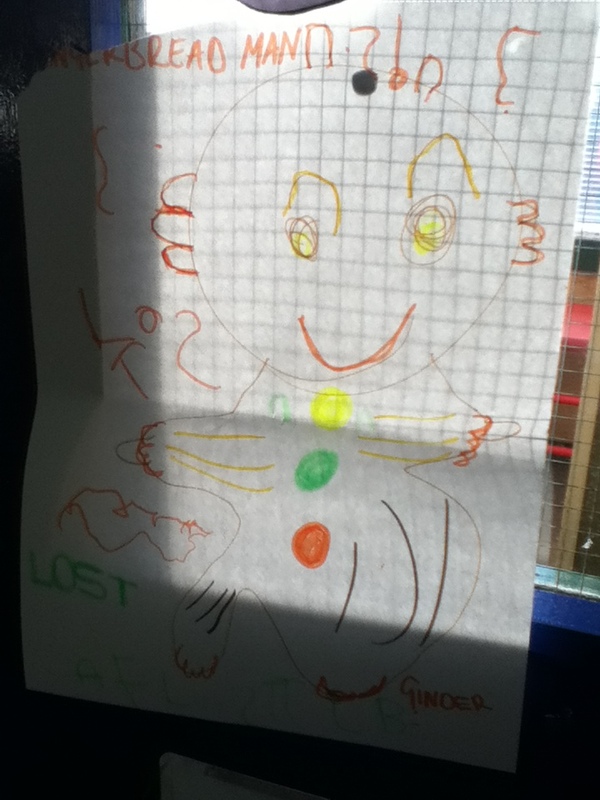 He is wanted for stealing the treasure map off the Queen and trying to take all of the treasure. If you see him, let someone in Year 2 know! 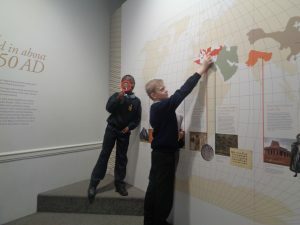 In Year 6 we are studying World War II. 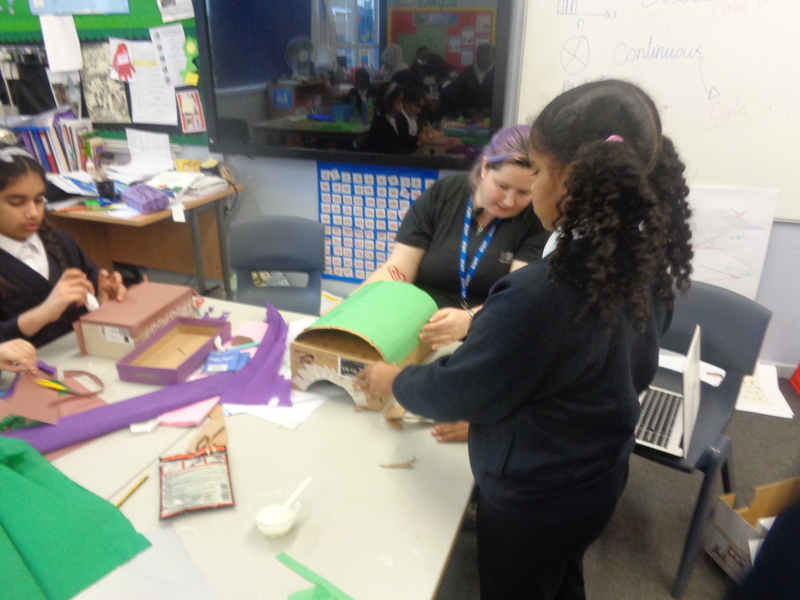 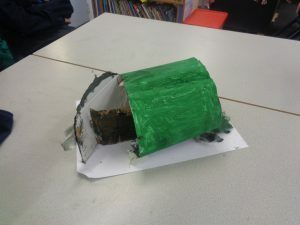 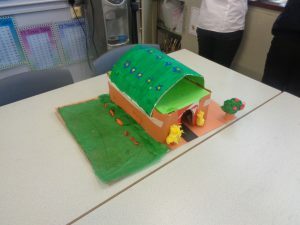 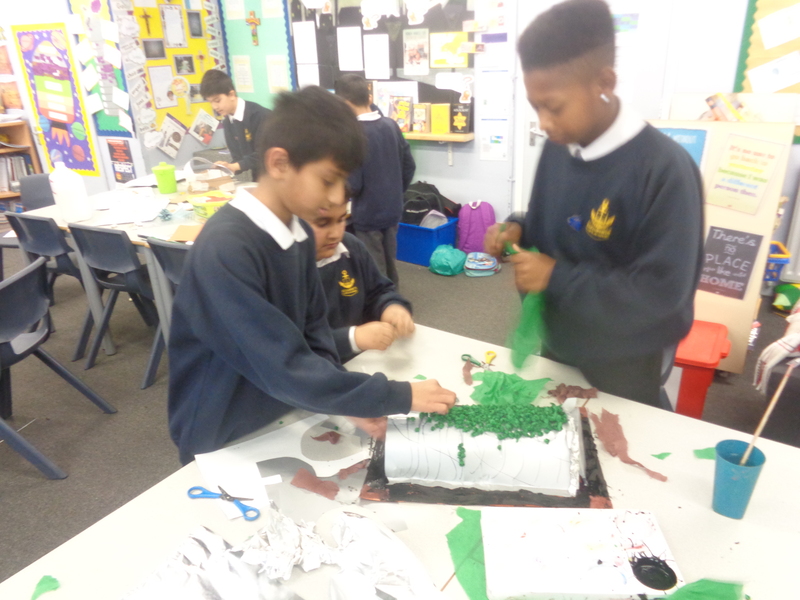 This week the children have been designing and making Anderson shelters. They had to use a variety of methods to join and assemble the materials together. 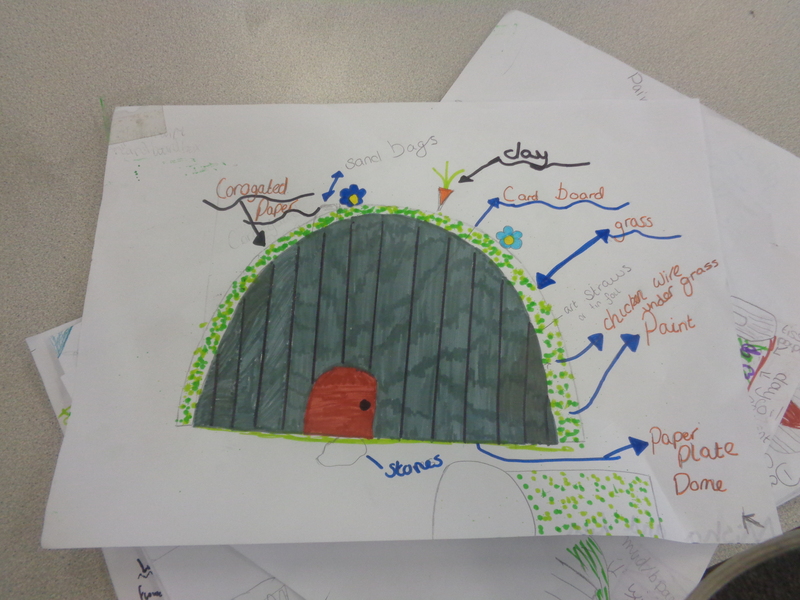 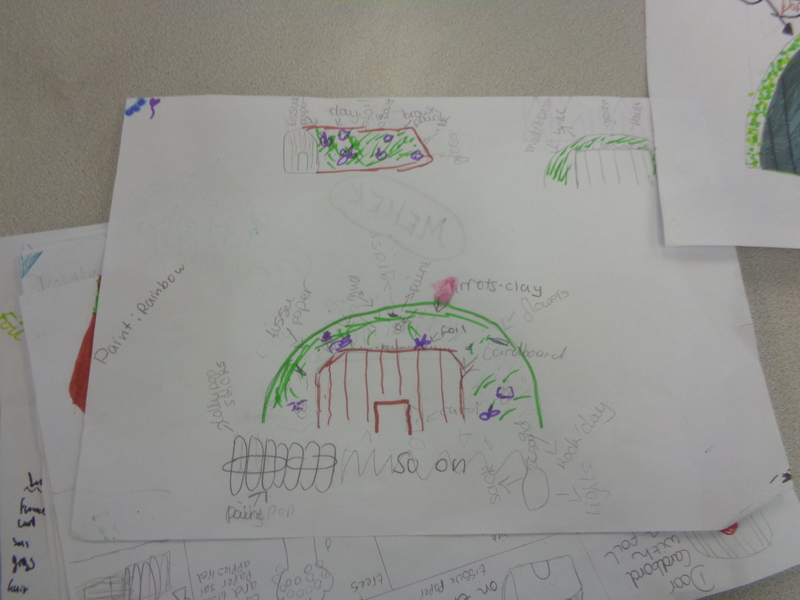 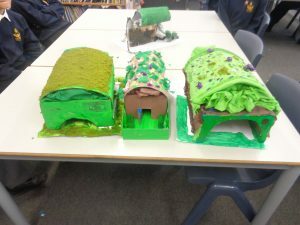 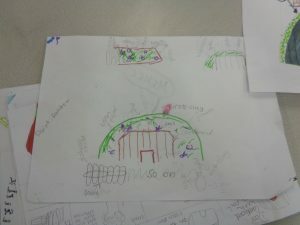 The children remembered how the people disguised their shelters underground by growing flowers or vegetables on top. Have a look at the plans and the finished shelters. 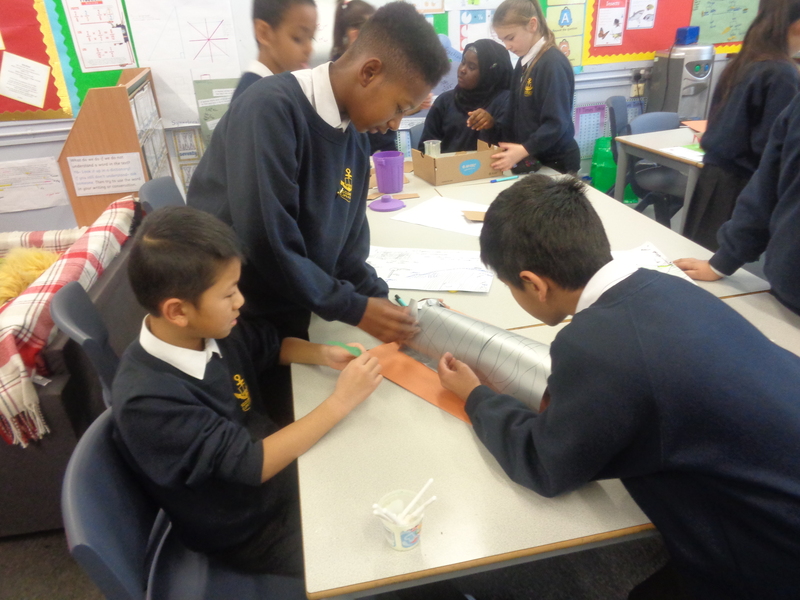 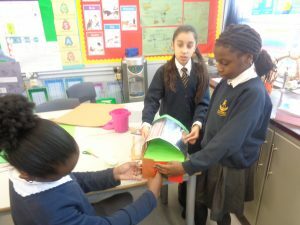 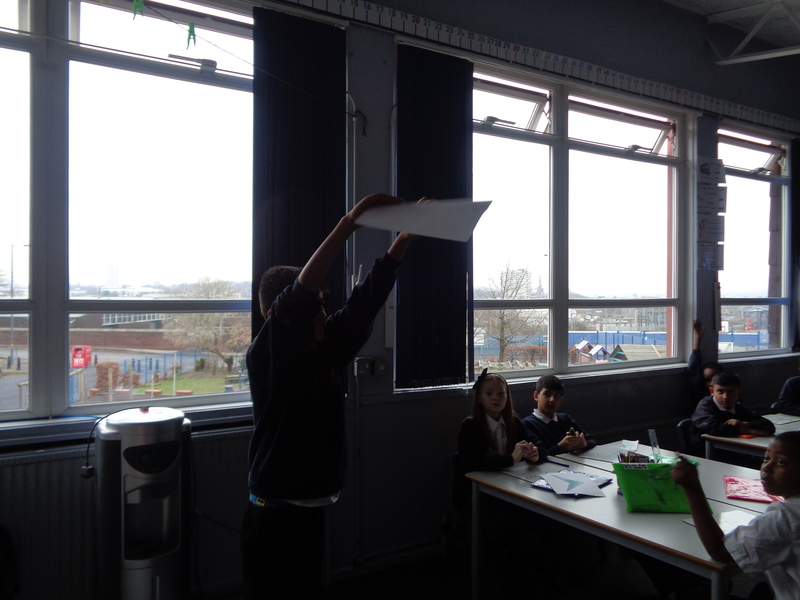 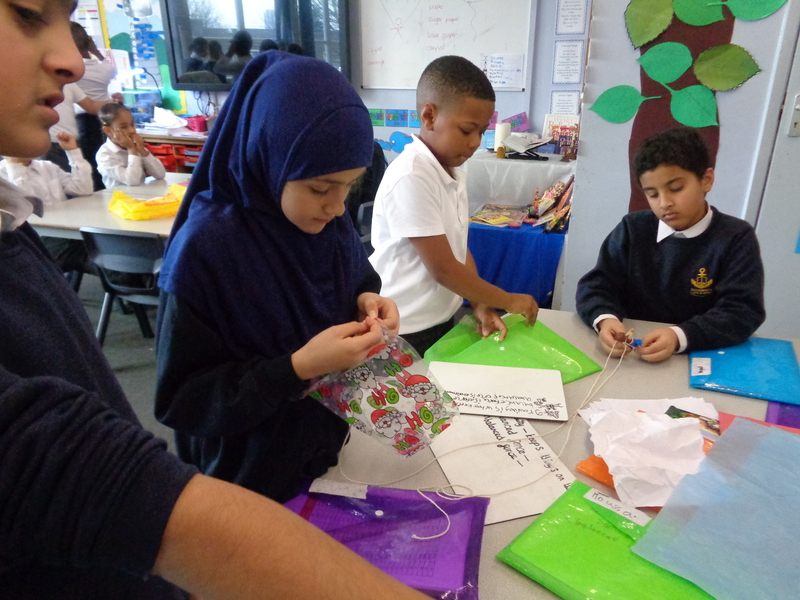 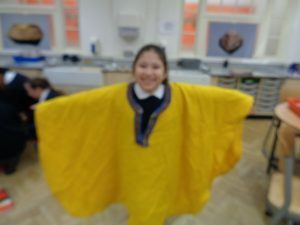 In science year 5 have been learning about forces. 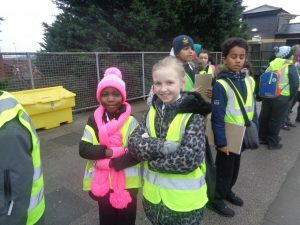 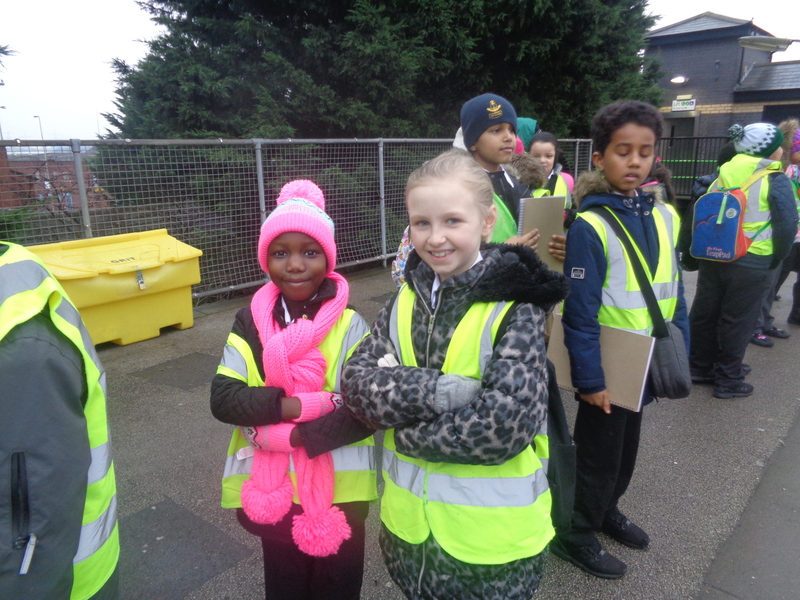 We have been looking at air resistance and gravity. 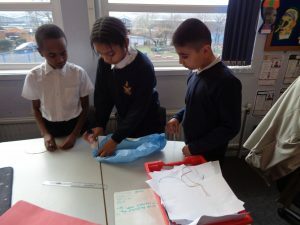 We investigated different materials to see which one would make a good parachute. We decided that the carpet would be too heavy. 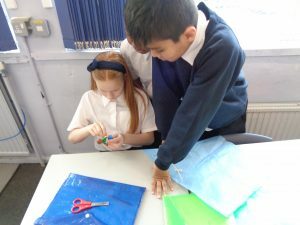 In the end we decided to make our parachutes out of tissue paper. 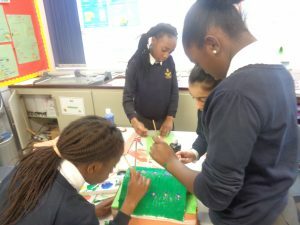 Securing a figure with 4 pieces of string. 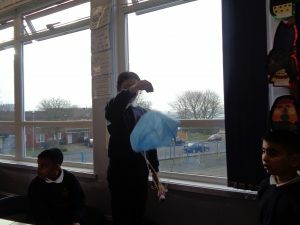 Air resistance slowed down our parachutes so our figure so it could land safely. 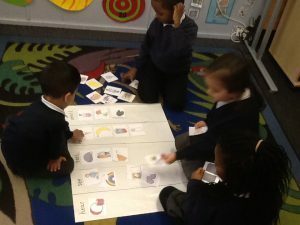 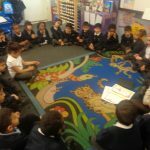 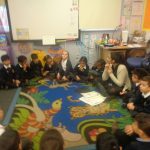 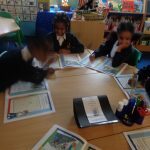 In PHSE this week Year 1 talked about feelings and how they can manage them. We talked about who they can talk to when feeling sad or worried. 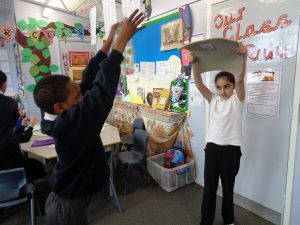 We also talked about behaviour and how we could calm ourselves down if we ever got angry. 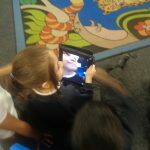 In circle time the children had to use small mirrors to look at themselves making different faces and discuss it with the rest of the children. 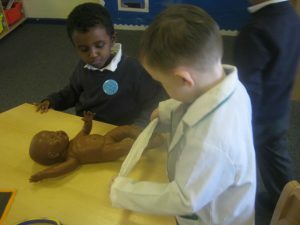 In Science, we have been learning about our bodies and our senses. 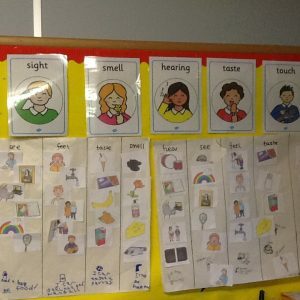 We know that there are five senses: hear, smell, see, touch and taste. We have been working in our groups to sort pictures into the senses that we use. 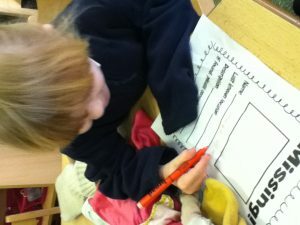 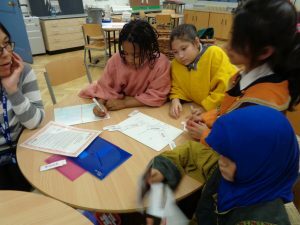 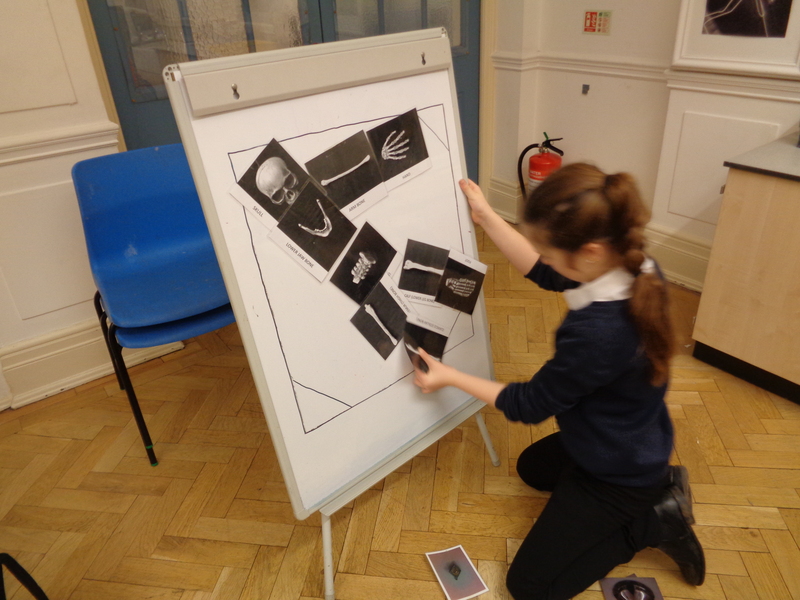 We also thought about activities that we do at school and drew them into the sense that we use. 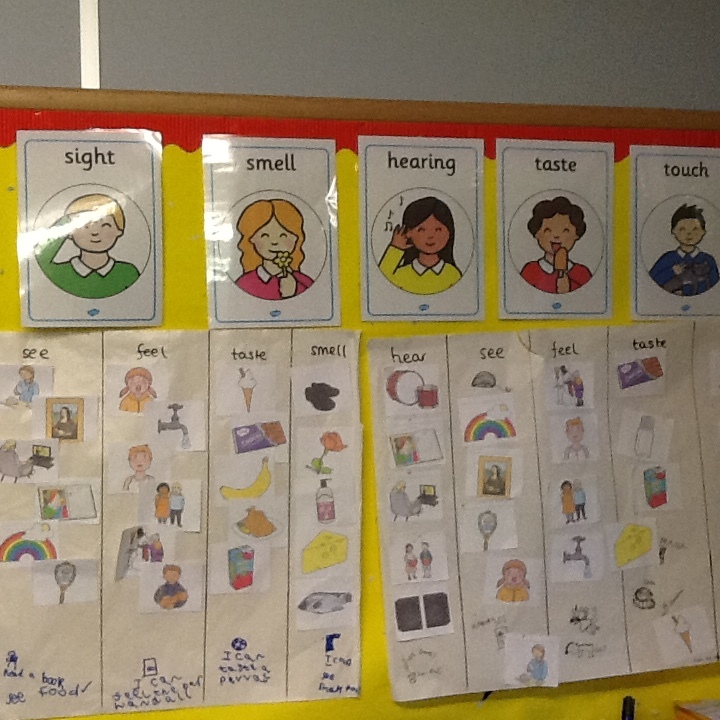 Next week, we are going to use our senses to explore different food, yum, yum! In PHSE this week Year 2 talked about feelings and how they can manage them. 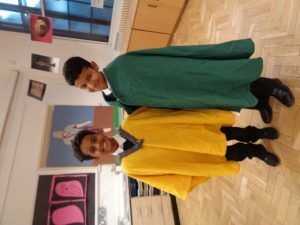 What they can do to feel safe and who they can talk to when feeling sad or worried. 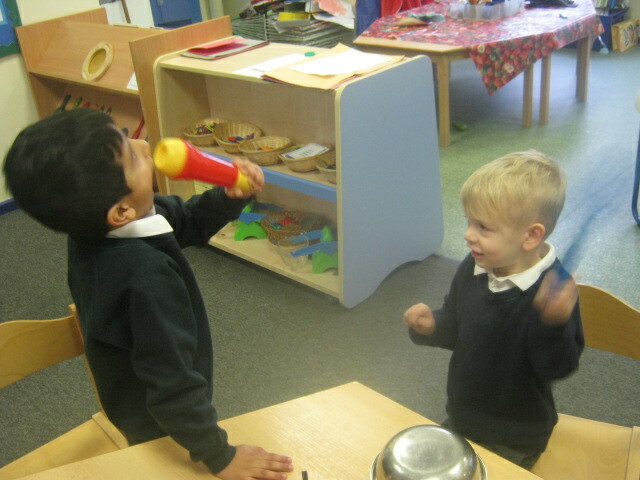 We also talked about behaviour and how we could calm ourselves down if we ever got angry. 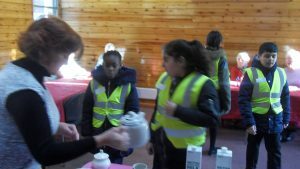 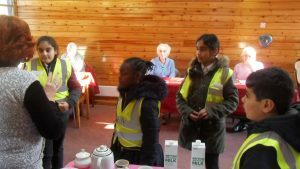 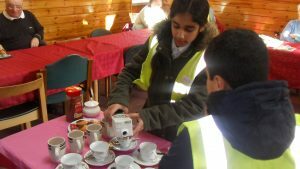 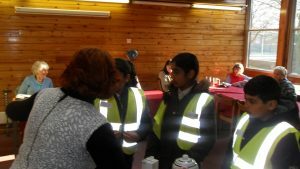 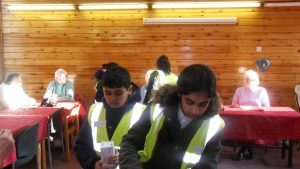 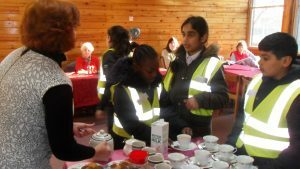 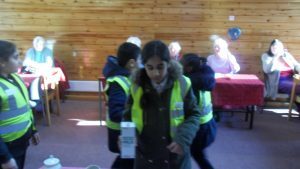 As part of the children’s work in the community they attended James Memorial Homes to chat with the residents and serve refreshments. 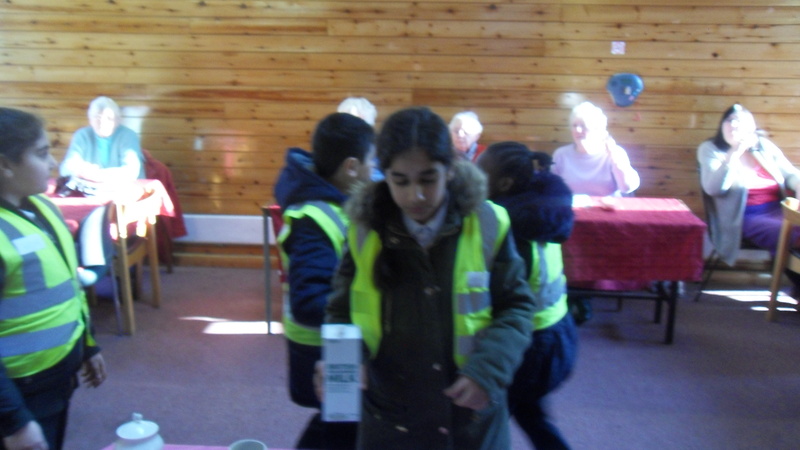 The children were able to talk with elderly people from the community and share their similarities and experiences. 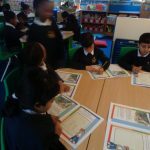 Dave, a local man, spoke with the children about his weekly routine. 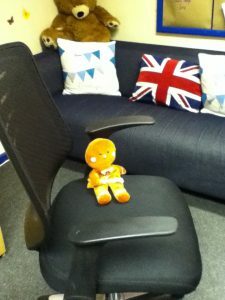 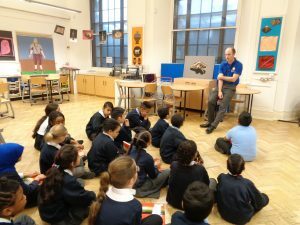 The children were able to tell Dave all about their day at school and can’t wait to return next week. 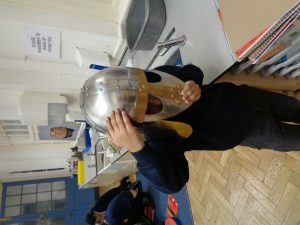 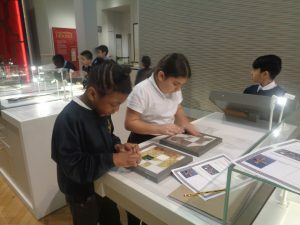 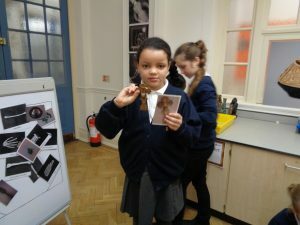 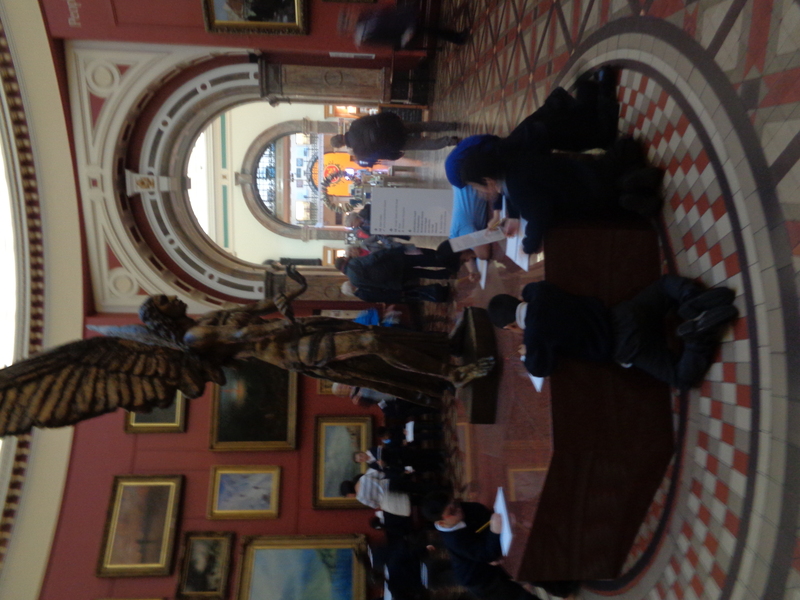 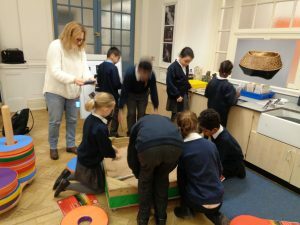 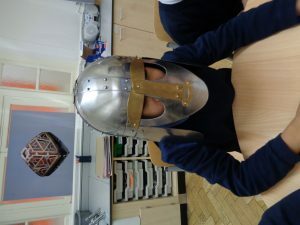 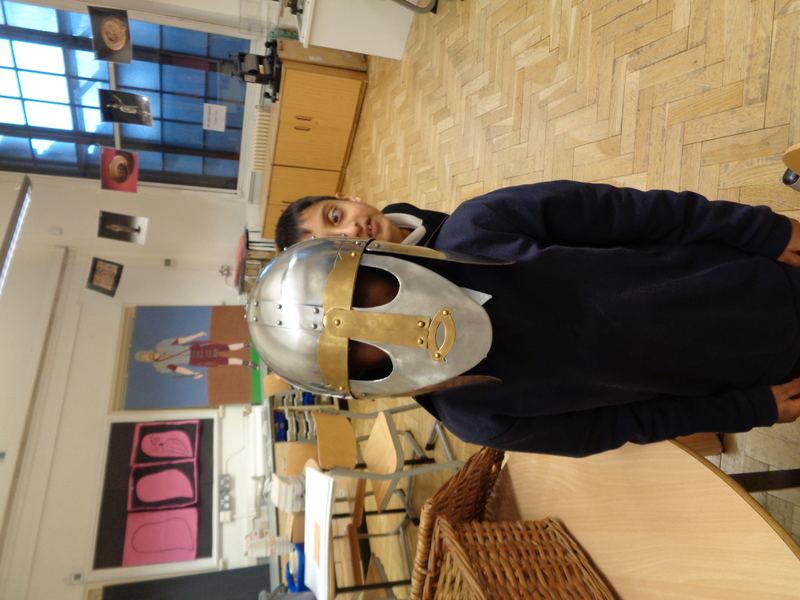 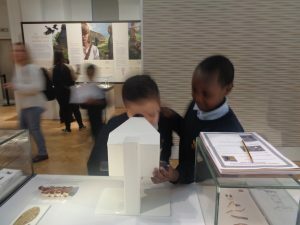 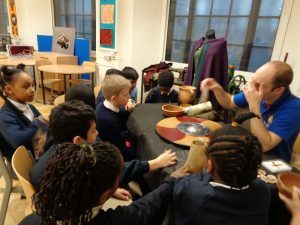 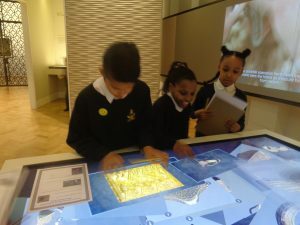 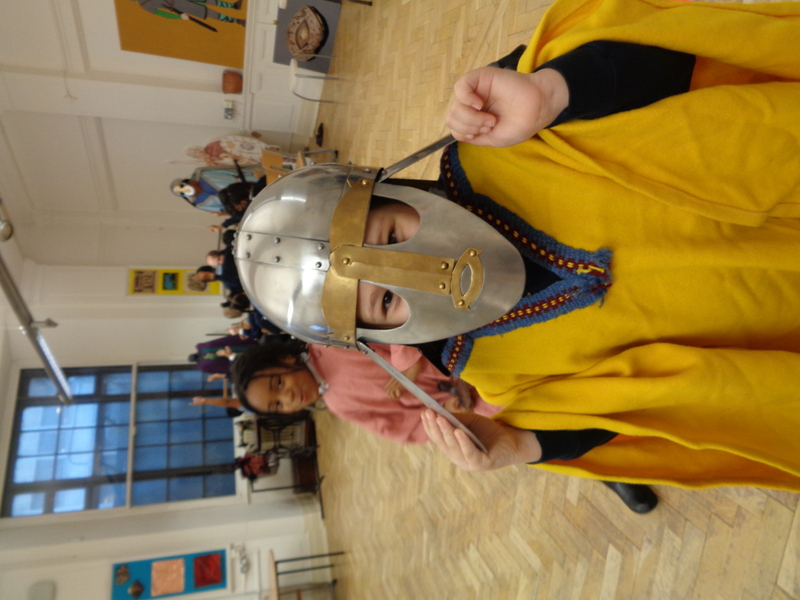 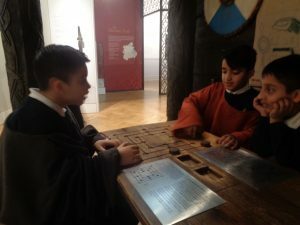 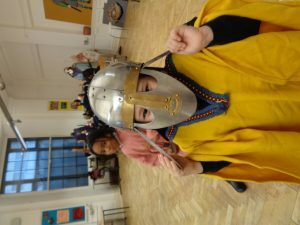 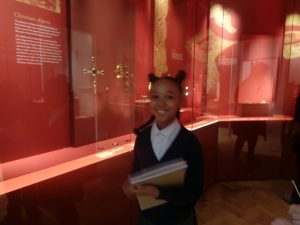 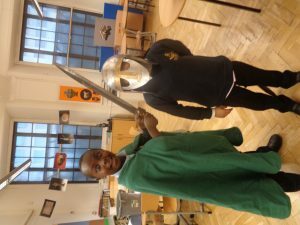 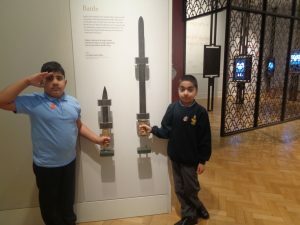 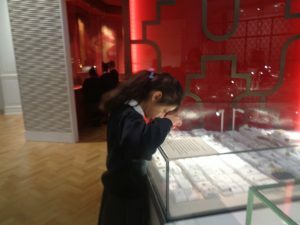 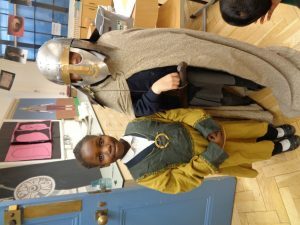 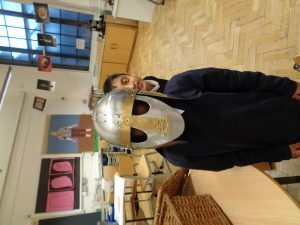 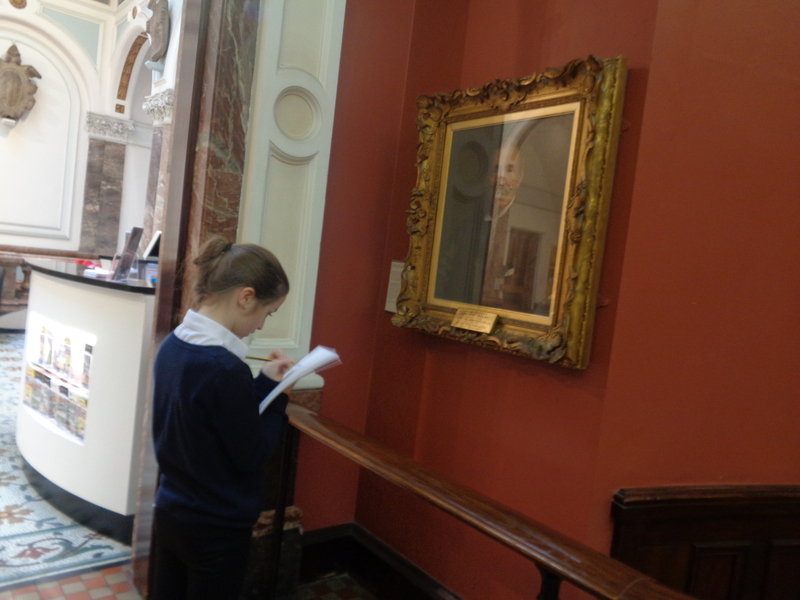 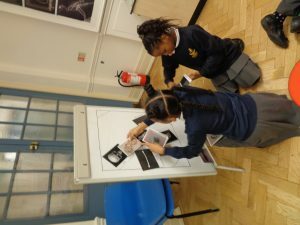 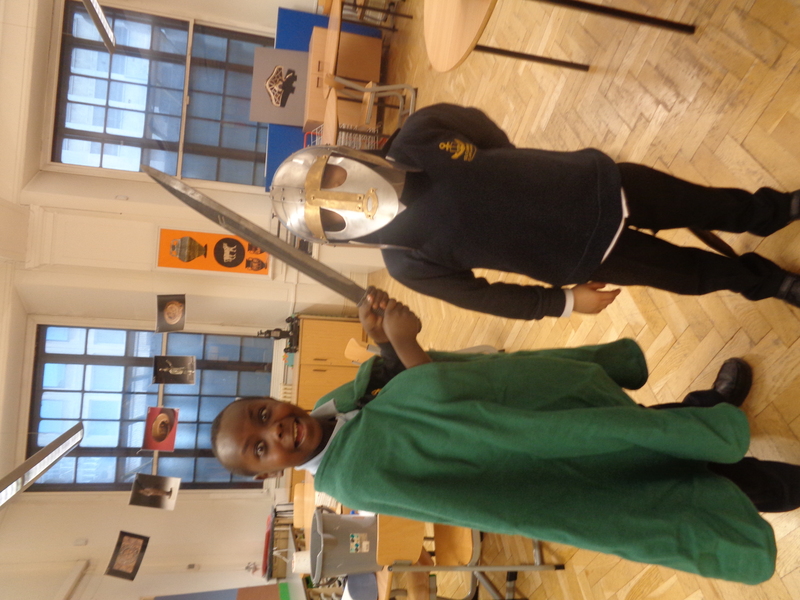 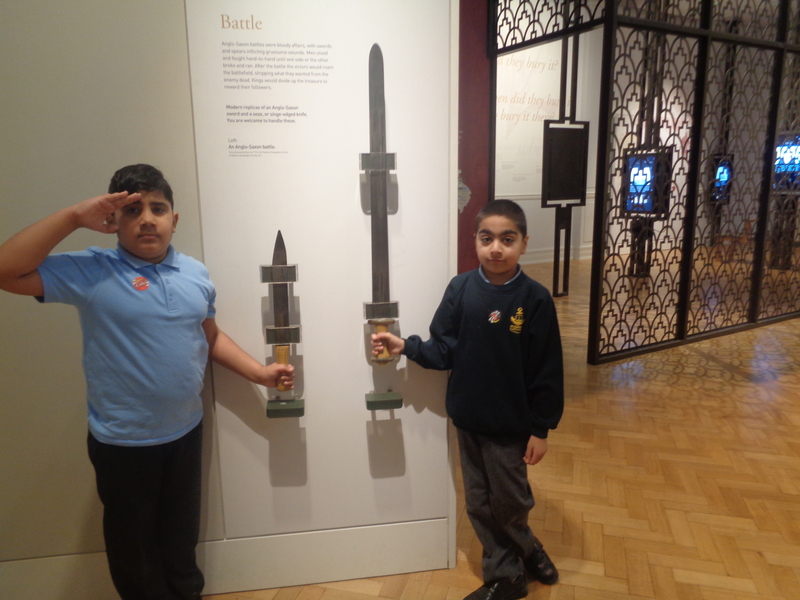 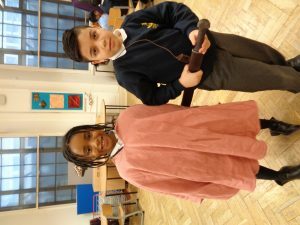 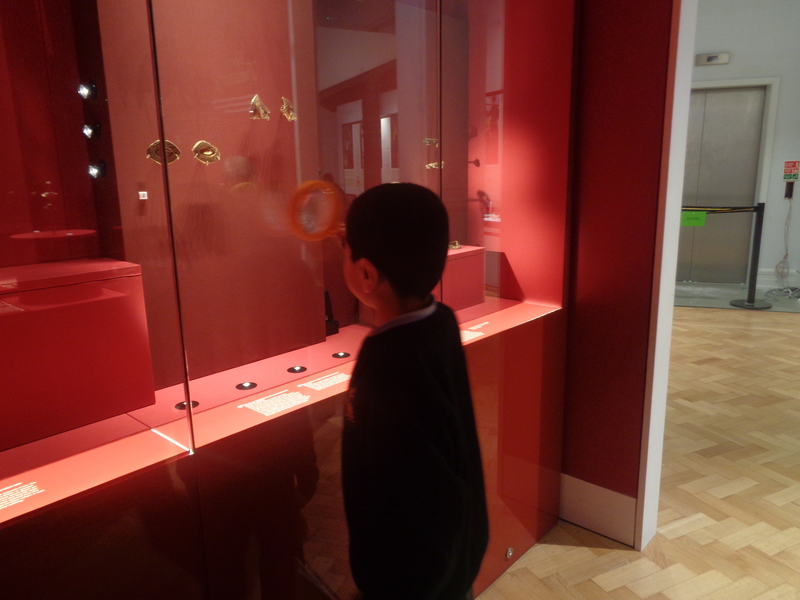 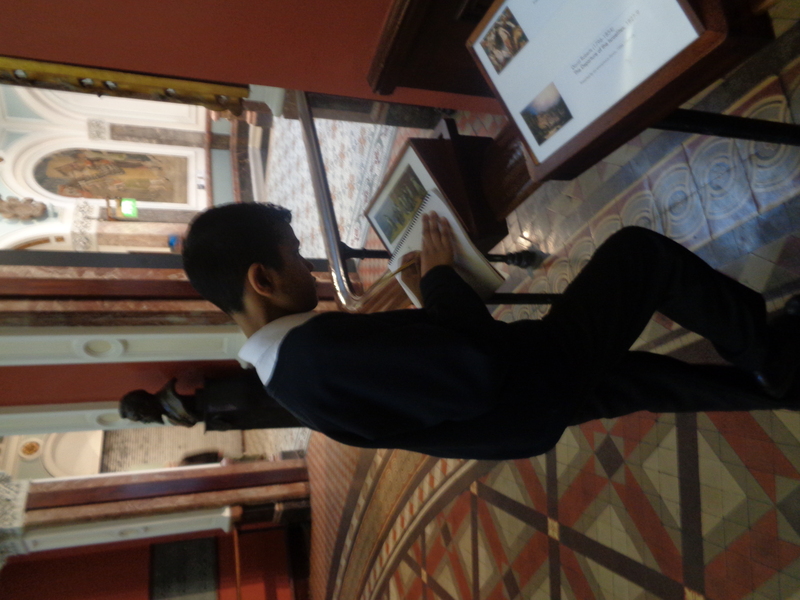 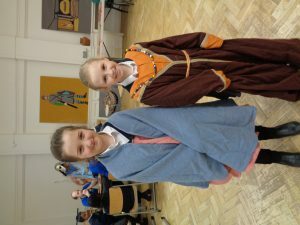 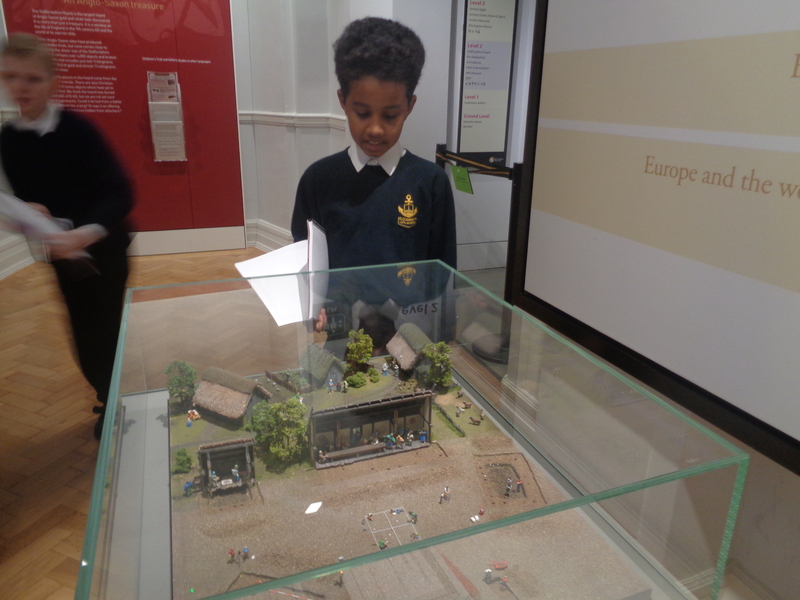 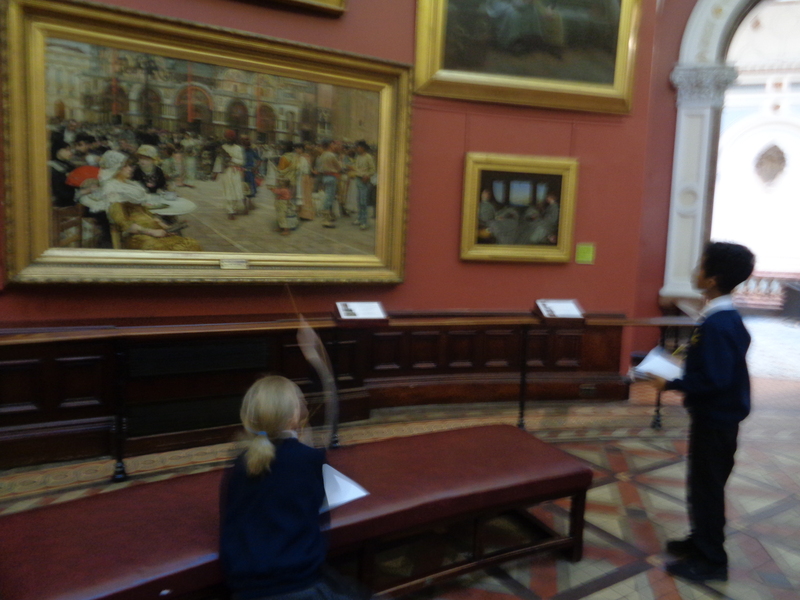 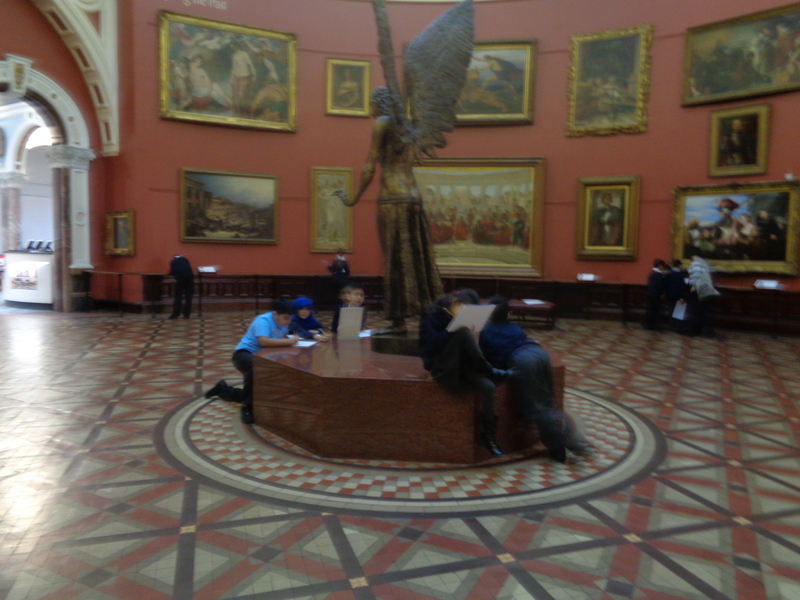 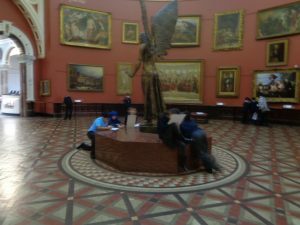 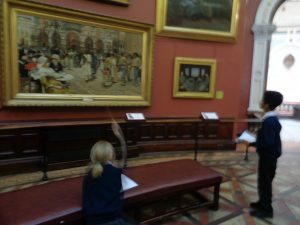 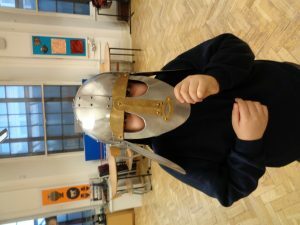 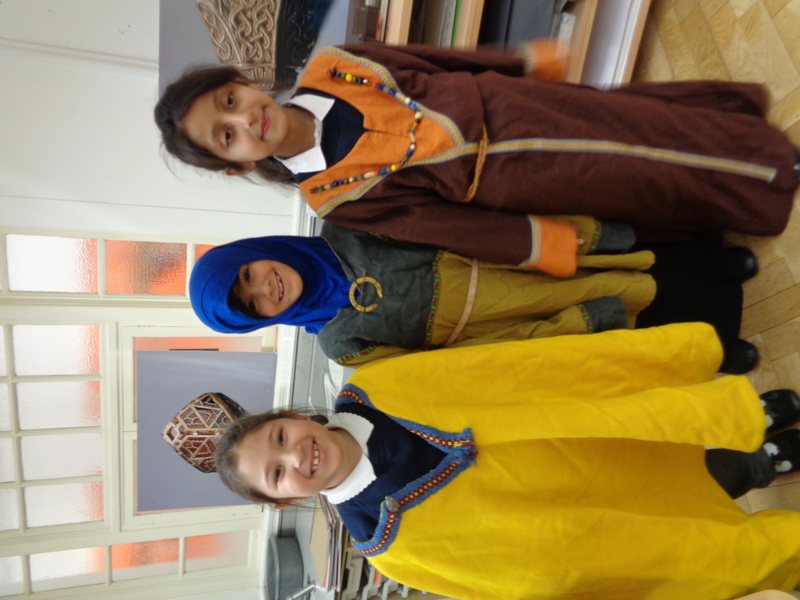 On Thursday Year 4 visited the Birmingham Museum and Art Gallery to find out more about the Anglo Saxons. When we first arrived, we headed to the Anglo Saxon gallery to try and solve the mystery of the Staffordshire Hoard. 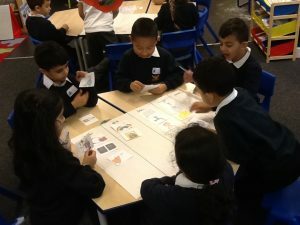 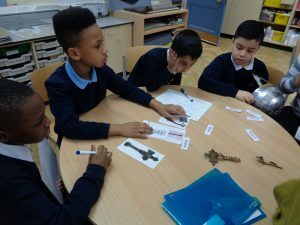 We used our activity pack to identify mystery artefacts and answer questions about what they might be. 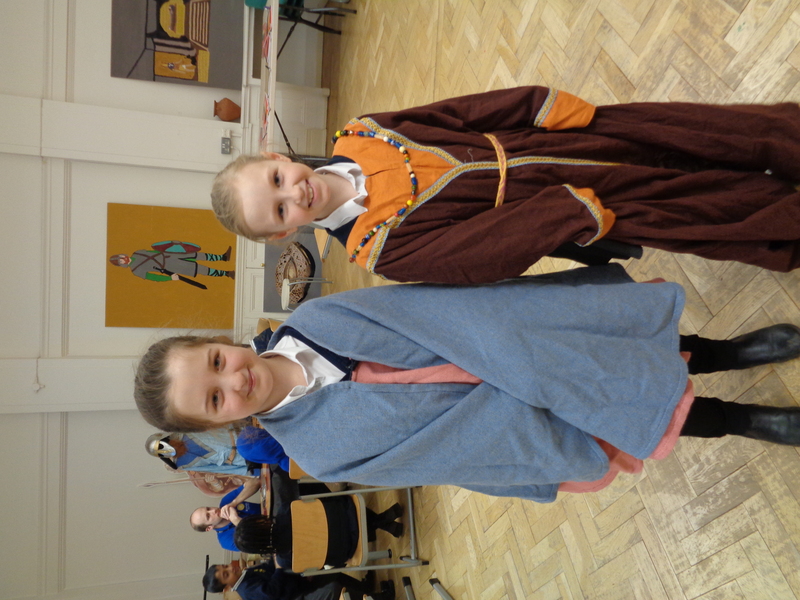 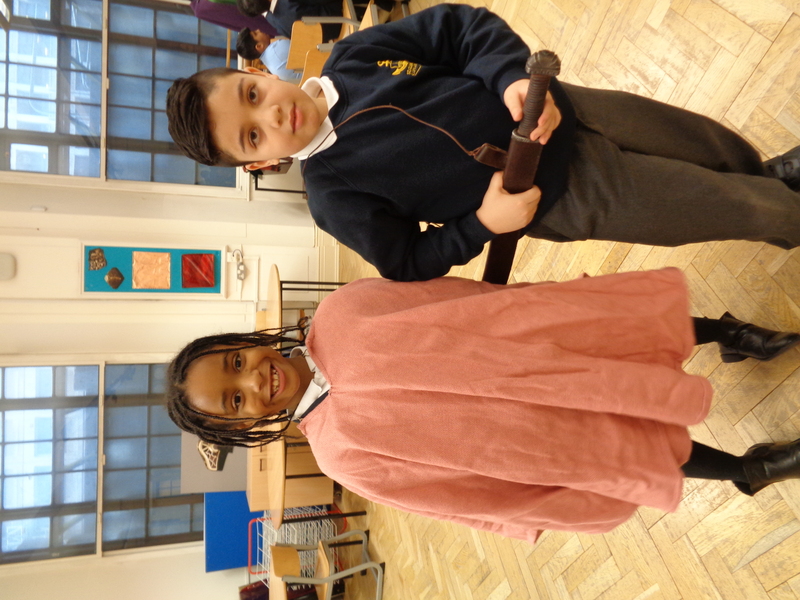 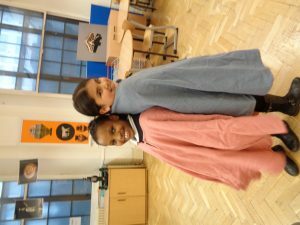 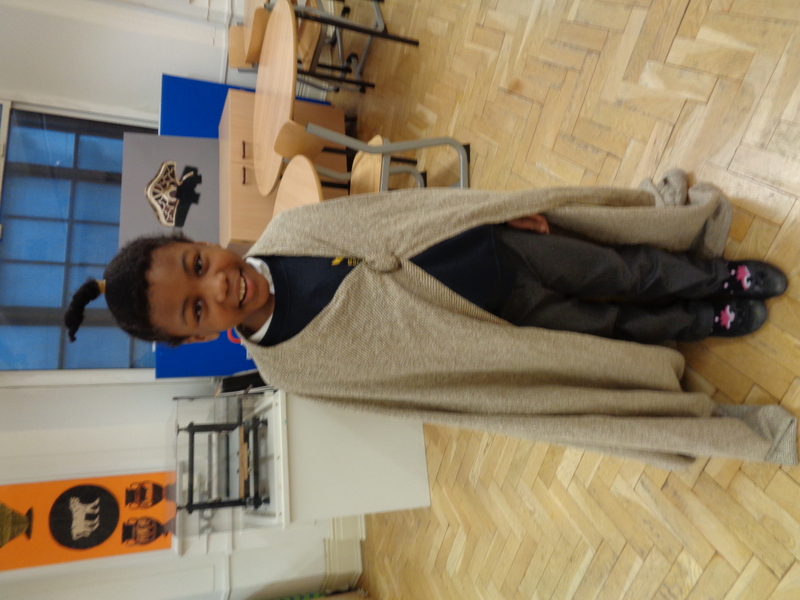 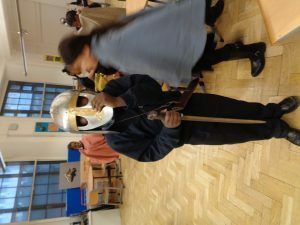 We also learnt how Anglo-Saxons relaxed by dressing up in their clothes and heading to the Mead Hall to play games. 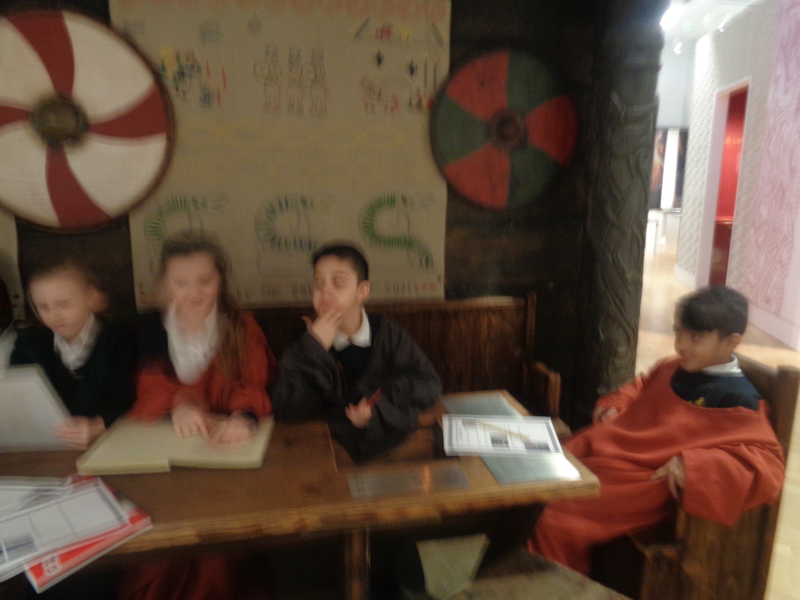 After this, we headed to the education room to take part in a history workshop. 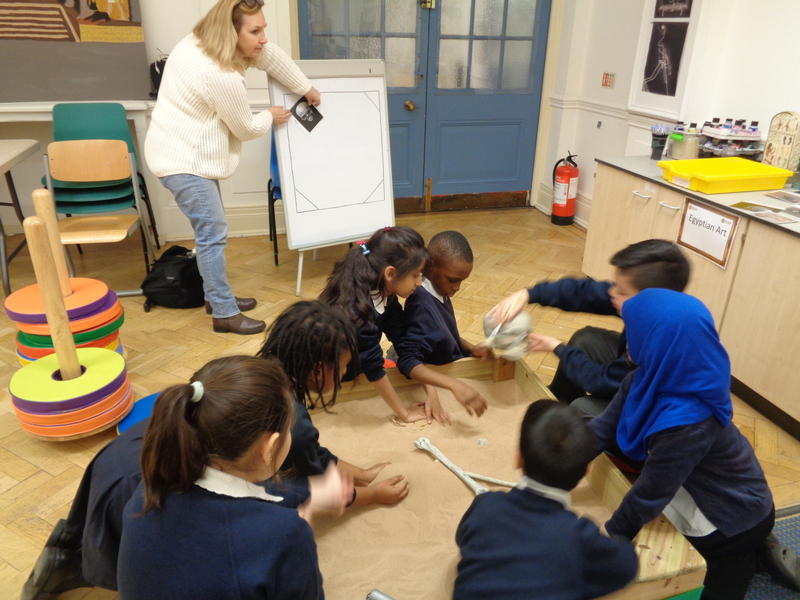 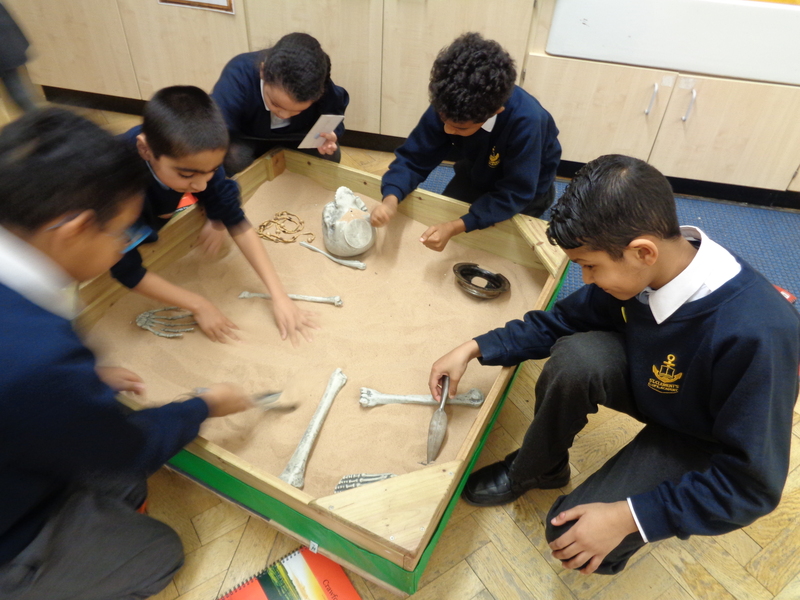 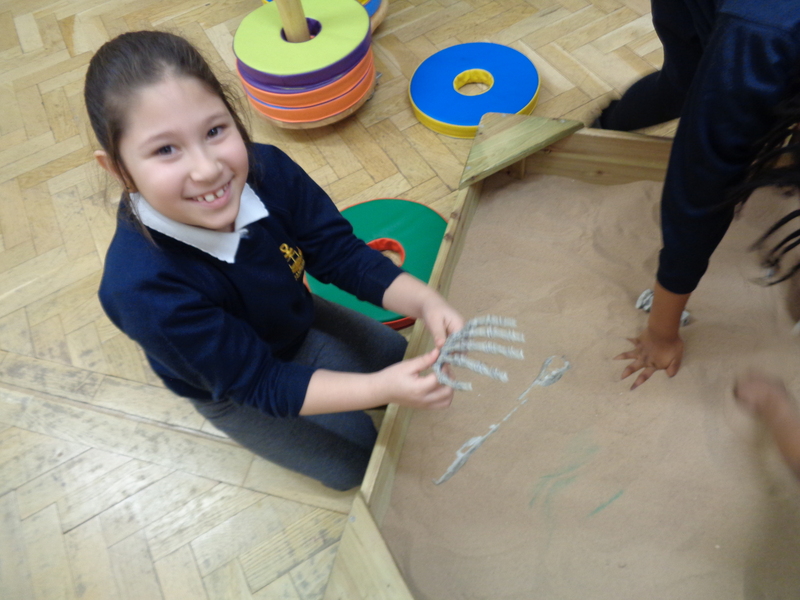 We became archaeologists and excavated artefacts from the sand to find out more. 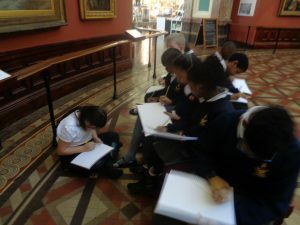 It was a great day and we will soon be producing some fantastic writing and art work linked to our trip.